Plus don't forget after your transaction to scan your receipt at Walmart's Saving CatcherHERE- which will price match any local competitor's printed ad for identical products and give you the difference. Build A Bear is offering $5 off $20 or more on all clothing through April 5th. Not valid on shoes or accessories. Discount will apply automatically to qualifying items when added to cart. The $14.99 and Under Sale* is on now at Gymboree! This is great time to pick up some swimwear! Shipping on Gymboree is a flat rate of $5 or free when you spend $75 or more. You can use any coupon codes you have from magazines or mailers to save even more! Don't have a coupon? Sign up for emails on their site, and they will send you a 20% off $50+ coupon! *This offer excludes Easter dresses and Eric Carle merchandise. Right now CROCS.com is offering Buy 2 Paris and Get 25% Off or Buy 3 Pairs and Get 30% off with code BUYMORE at checkout. Plus you can take an extra 25% off already marked down Ocean Minded styles with code OM25. Free Shipping on orders over $24.99. Today you can get a Personalized Beer Koozi for $6.99 (Retail $10.99). Keep your beer cold and your hands dry with these personalized bottle koozies. The koozie features a zipper to secure your drink. The koozies are made from neoprene foam. Decal is applied with vinyl heat transfer. $2.99 for the first item and $0.50 for each additional item. US only. Estimated to ship by Apr 13. Hurry over and grab a Monogrammed Neoprene Bottle Koozie for $9.99 (Retail $16.99). These Monogrammed Neoprene Zip-Up Koozies are the perfect accessory for your bottles drink this summer. Buy some for a girls weekend, yourself or a friend to keep your drink separate. $3.25 for the first item and $1.25 for each additional item. US only. Estimated to ship by Apr 10. Hurry over and get a FREE Neoprene Oven Mitt or 2pk Neoprene Pot Holders (Retail $9.99), pay $2.99 Shipping. These fully insulated, neoprene oven mitts and pot holders are not only stylish but they are some of the safest you'll ever use for holding or moving hot cookware. Both have a textured neoprene surface for maximum grip and both will protect up to 425 degrees of constant heat. Simply choose your style (Oven Mitt or 2pk Pot Holders) and your color. Choose from a single Oven Mitt or a 2 Pack of Pot Holders. Pot Holders are an additional $2. OH MY! If these aren't the cutest things that I've ever seen for a baby! 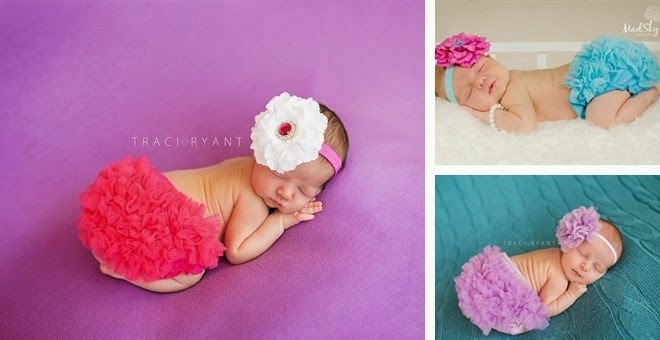 Head over and get a Satin &amp; Chiffon Ruffle Baby Bloomers for ONLY $5.99 (Retail $14.99) - sure wish they had these when my daughter was a baby. $2.99 for the first item and $0.99 for each additional item. US only. Estimated to ship by Apr 6. New Coupons - OxiClean, Herbal Essences, Colgate & More! WOW! Needing a gift for the arrival of a little one? If so, hurry over and check out Bebe Bella Designs Floral Fusion Infant Collection on Sale Now with prices starting at $3.50. I love the Minky Chenille Mittens for $3.50 (Retail $18), Knit Gown $7.80 (Retail $39) and Knit Sack for $8.40 (Retail $42) of course I like the other stuff too, but these are the things that saved me when my kiddos were babies. Today ONLY - Home Depot is offering Up To 51% Off Select Shelving Solutions! One of my favorites is the Honey-Can-Do 5-Shelf 36 in. W x 72 in. H x 14 in. D Steel Shelving Unit in Chrome for $59 (Retail $105). Head over and check out the few selections! Hurry over and grab this Kiddieland Disney Frozen Magical Adventure Activity Ride-On for $39.97! -Features the original "Frozen" movie soundtrack titled "Do You Want To Build a Snowman"
New Redplum Coupons - Garnier, Advil, Maybelline & More! Multi-Year Magaizne Sale - US Weekly, OK! & More! This weekend Discount Mags is having a Multi-Year Sale on the most popular magaizne titles. Right now at Stride Rite you can Buy More, Save More with up to 25% Off using code BUY2SAVE at checkout. Offer valid until April 5th. Now's the time to sign up with Shutterfly because NEW Customers can choose one FREE Gift with code GIFT4U. Small S&amp;H fee will apply. Offer good March 28th &amp; 29th.